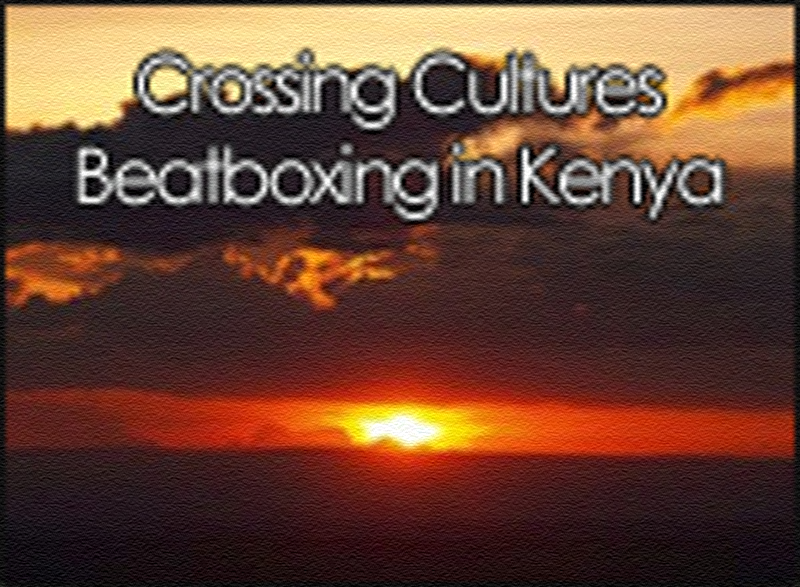 Tyte travels to Kenya, and transcends cultures through beatbox. Over the years I have beatboxed in some amazing places. I have beatboxed at church services, weddings, Bar Mitzvahs, schools, Universities, prisons, festivals and even the finals of the German DJ Championships. 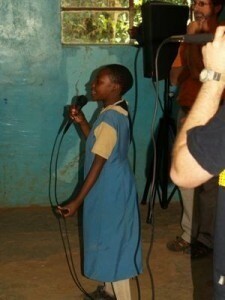 However, in November 2007, I had the opportunity to beatbox to the children of Kijabe Primary School in Kenya. Each year, all the Africa Inland Mission (AIM) missionaries from across Kenya, along with their children, meat at the Rift Valley Academy, a large school in Kijabe. Lucy (my wife) and I were helping lead the youth programme at the conference, and this meant giving teaching on Christian spirituality, leading creative worship, and of course, beatboxing! The conference was an opportunity to beatbox in a variety of venues and contexts. Each night, during the youth programme, we would worship God using the beatbox. Sometimes this was a cappella with just beatbox and voices. At other times I beatboxed with the worship band along with vocals, guitar and drums. There is something so organic and earthy about beatboxing in worship. With the mouth you can change the mood and feel of a song and add real groove. It's as if you're connecting with the rhythm of life and with God on a different level - using your voice to worship without words is a powerful thing. 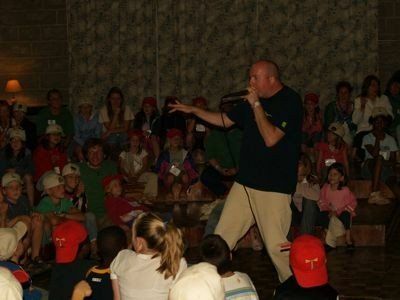 On one of the nights, I beatboxed for the younger kids at the conference. There were 125 of them aged between 4 and 10. They loved it. When beatboxing for this sort of crowd, silliness is the order of the day - complete with nutty dancing and clowning around. Beatboxing lends itself to kids entertainment - with short funny skits and routines interspersed with lots of crowd participation. At the end, a little boy came up to me and said, "That was the radio!" I assured him that it was just me. He said, "No, it was the radio." I beatboxed in front of him without the mic and he just stood there with his mouth open! On one of the evenings during the conference there was a talent night. Nearly all the delegates were Americans and a large number of the delegates worked at Kijabe Hospital. I teamed up with an English doctor (one of only four English people out of three hundred). We donned theatre greens with masks dangling around our necks and pretended to be Fossington-Smythe and Barrington-Brown, two eminent English surgeons. After a comedic introduction using our posh English accents, we 'got down' with American culture. We put on caps (sideways) and sunglasses. I beatboxed and the other doctor rapped. The subject? Americans! They loved it. However, they got their own back later on in the evening when one of the lady missionaries pretended to be the Queen! 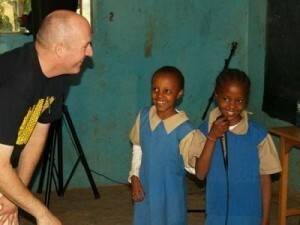 One of the highlights of the trip was being invited to beatbox for Kenyan children at Kijabe Primary School. The school was comprised of several single story buildings, each with one or maybe two rooms. We set up our portable Fender PA system (connected to a petrol generator) at the end of a large classroom. This room had no decoration, no books lining the walls, no posters. Just a potmarked concrete floor and wooden bench desks. The children eagerly took their places - all three hundred of them! The head teacher introduced me, and off I went. As beatboxers, many of our beatboxing routines revolve around well known songs, and my comedy skits are based around cartoon characters. I couldn't use any of that stuff here. Many of these kids live in homes without electricity. Certainly no CD players or television. So, it was down to pure beats and sounds, however, they loved the rhythms and different vocal effects. As part of the performance, I got some of the children out to have a go in sort of a mini beatbox battle. It was girls against boys, but again, this is a Western thing. The kids seemed to have no concept of 'girls are better than boys'. Perhaps here's a lesson for us Westerners? Elvis, Naphtali, Mary and Phoebe volunteered. It was such fun and we all fell about laughing. One strange thing that happened as I beatboxed was that the sound from the PA bounced off the back wall of the room and all the kids kept turning behind them because it was freaking them out! I had to explain that the sound was just coming from me and the speakers. 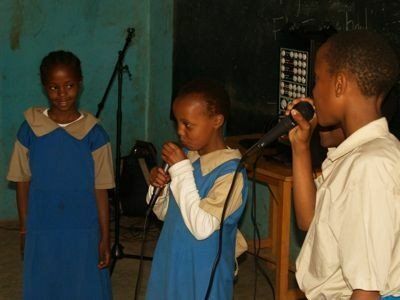 After my performance the children sang for me. They were great. One girl led from the front and all the kids joined in. After that, a class came out and danced and sang. I was amazed at the their voices and the way they moved to the music - they were so unselfconscious. I couldn't imagine my kids doing that in a Western school. During one of the songs I joined in with a bit of beatbox. 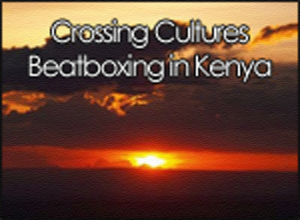 What an incredible mix of cultures - Kenyan songs with hip-hop beats! After all the music, I was invited to say something about God. I gave a short talk about how we should use our voices for good and not bad, how we should use our talking to build up and not tear down - to encourage and not discourage. It was so humbling being there. For these kids, school starts at 7am and finishes at 4pm. They may get one meal a day and some of them walk for over an hour each way - some having to walk from the valley floor several thousand feet below. One of the things that struck me was just how joyful the kids were. Here was I teaching them about life but I felt that they taught me more. 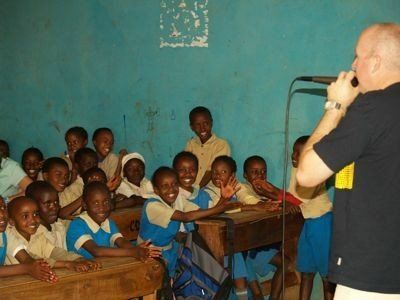 Beatboxing transcends every boundary - age, gender, social class, nationality and culture. Whether you are a 65 year old missionary from Alabama, an 18 year-old from Toronto, or a 7 year-old orphan from Kenya, beatboxing connects. There is something so special about beatboxing - the sounds, the grooves. It makes people smile. It lifts people up. It needs no equipment. It is such a good artform. Kenya is a place where wealth and poverty live side by side. About 8% of the population are HIV positive. During my short stay, while I played, my doctor friend worked in the hospital battling to save the lives of men, women and children. Three of his patients died during our first night there. This is the reality. It was a great honour and privilege to use my beatboxing skills to input into the lives of people who have given their lives to serving the poor and needy in Kenya, however, I left feeling as if I was just some light entertainment. I was just visiting for a week whereas these missionaries were giving their lives. While I played, people died. We all have different gifts. I'm no doctor but I do have the gift of beatboxing - a gift I have nurtured and tried my best to use for good. 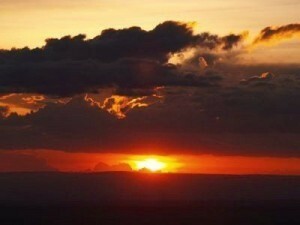 In Kenya there was no room for egos, for battling or 'beef'. I have returned to the UK a little different from when I left. I learned from the Kenyans that it is relationships that matter. I learned that people can know joy and peace in the most dire of situations. It is my hope that I will bring back to England some of that joy and that peace.